Asahd Khaled is by far the most popular child in Hip-Hop — the entire world if we’re being honest. The first child of renowned musician DJ Khaled has transitioned from baby to mini-mogul in just a matter of two years. 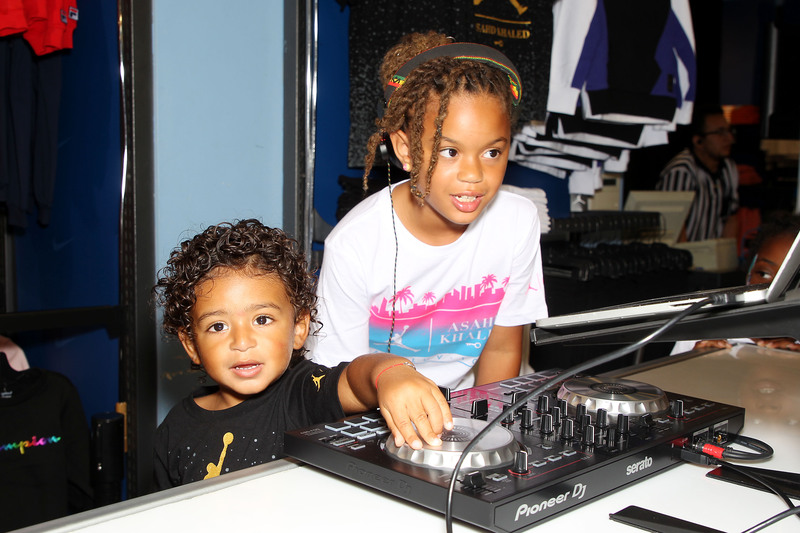 His recently launched “Jordan x Asahd” Holiday Collection with Kids Foot Locker shows the entrepreneurial spirit and brand that’s being established within the titan toddler, an effort that is equally collaborated on by his parents. 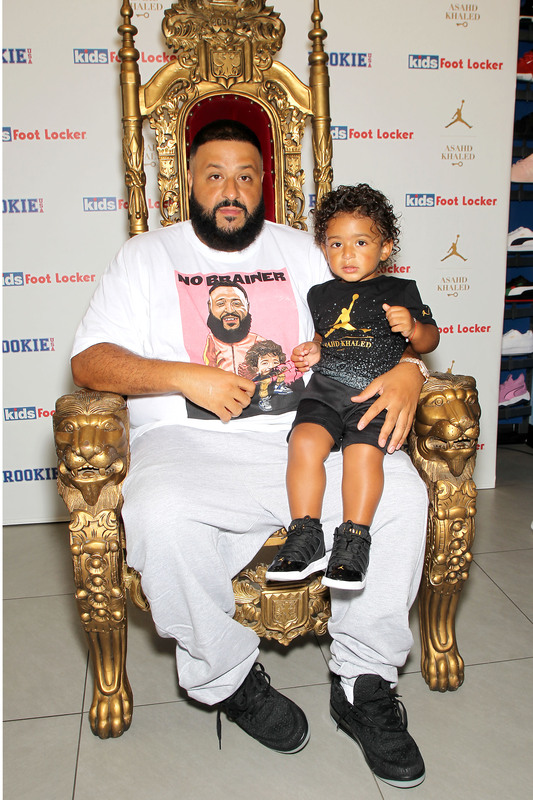 The elder Khaled’s pride in his son radiated during his latest “Fan Luv” experience in Miami. 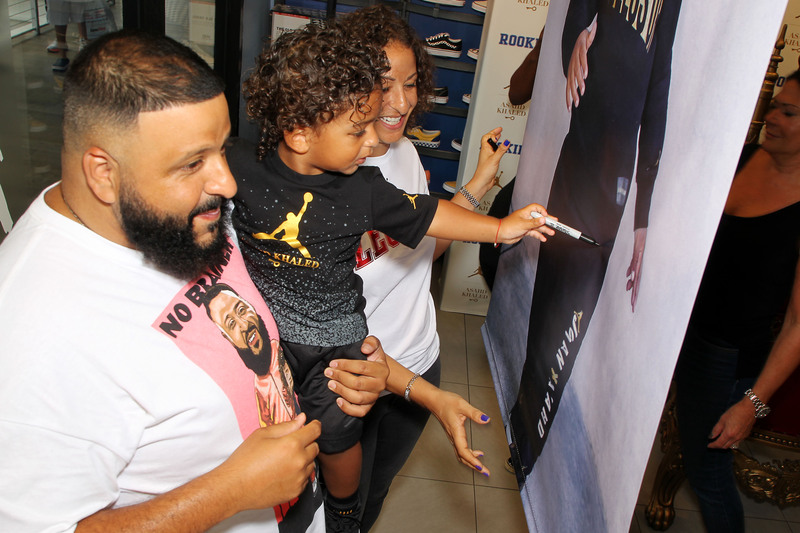 Flawlessly, Khaled managed to interact with every fan that visited the Kids Foot Locker at Bayside Marketplace in the 305, while exemplifying the true essence of fatherhood with Asahd alongside him every step of the way. 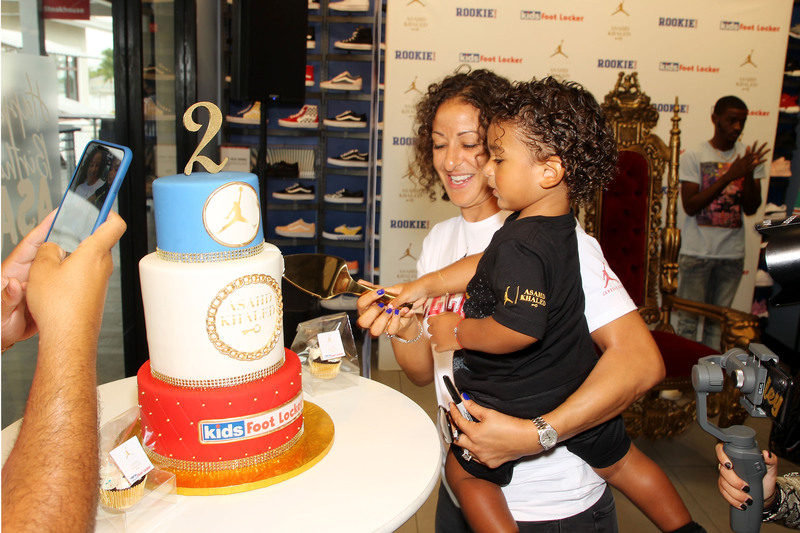 The two took over the store for a birthday celebration ringing in Asahd’s second year, along with launching the “Jordan x Asahd” Fall collection. The celebration was a signature moment for the Khaled family, bringing in their fans for an intimate experience where a bond was able to be built with each one. The love in the room between the Khaled’s and fans was palpable. The reactions and fun that fans worldwide experienced via social media filled the room and demonstrated that, for DJ Khaled himself, parenthood is bridging love, hard work and most importantly fun. Even more, the major key for the hitmaker is to make sure that his son has secured a successful future and knows his options are limitless. During the celebration, DJ Khaled took the time to talk with The Source about fatherhood, the work that goes into the “Jordan x Asahd” Holiday Collection, the importance of showing children success early on and his new album, Father of Asahd. The Source: First, Happy Belated Birthday to Asahd! He’s turning two and has already accomplished a whole lot. What sparked a thought to get him going so early with his own empire? DJ Khaled: I’m a firm believer in securing the future and speaking things into existence. It starts with Mama Asahd or Father Asahd. I was speaking greatness when she was pregnant through the belly, saying when he was born that he continues to be great. The way I was raised is to just embrace your blessings and keep God first. That’s what we teach my son, but at the same time, as I want to make sure his future is secure and I’m going to secure it, Mama Asahd is going to secure it. When he grows up, he’s going to secure it. Whatever he decides to do in the future, we’re gonna support that. My message for the young world is this: I want the young world to know you can accomplish anything. It don’t matter what age you are, you know what I’m saying? I feel like in elementary, middle school, high school — whatever grade it is! — I feel like we should teach our children to also be successful entrepreneurs. So, imagine in high school, not just waiting for college, but knowing you might want to be an artist. You might want to be a doctor, or you might even want to be a president. I feel like we should encourage our kids to do whatever they want to do at an early age. So when they grow up, when they touch the real world the future is already secured. It took me a lot longer to get where I’m at, but I’m gonna make sure my son gets it right away. You’re coming out today to do these “Fan Luv” events, but more so than anything bringing your son into it. How does it feel, or more importantly what does it mean personally, to be able to still get better reception and everybody comes to see you every time? Oh, that’s incredible man! You know, with my fans, we have a special connection and there’s no word that can explain this pure love. As far as, these are my son’s fans though. I promoted this, you know — come to see my son’s new line! — and I’m just still so happy to say that my son has his name beside Jordan. I watched other kids wear the clothes, he wears it and I wear it, too. For him to have his own line — like, he just turned two years old and he has his own Jordan line! Right now we’re talking about the fall collection. I watched my Instagram and watch how many kids are wearing it around the world. No words can explain how happy I am. I grew up loving Michael Jordan, wearing the logo and seeing that he represents greatness. My son is right beside him to represent greatness. That’s like my only dream come true; this is inspiring. My son is literally inspiring me. He’s done more than me in two years. 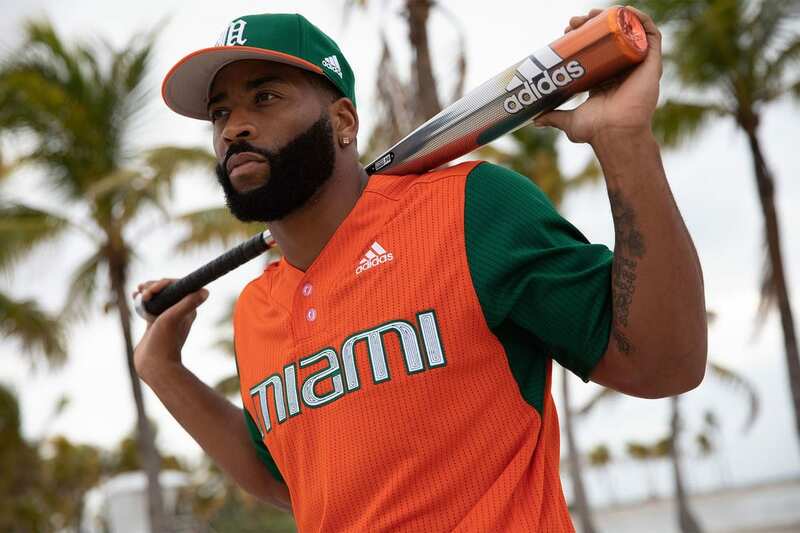 How much input, from the both of you, goes into what his collections are going to look like and represent? Asahd and Mama Asahd gets with the team, then I sit down at the end of it and they’d be like, “Yo, what you think about this?” But I want to give a lot of credit to my Mama Asahd and Asahd because they take the time to talk with the team. I’m blessed to be able to take these great words I say, especially that it’s Asahd representing my family. They put it on the clothes, like the “Bless Up” T-Shirt. You know what I mean? That’s so inspiring I think for everybody. It’s the Khaled family really working together. Even when I make music, [Asahd] does certain things when you hear sounds. 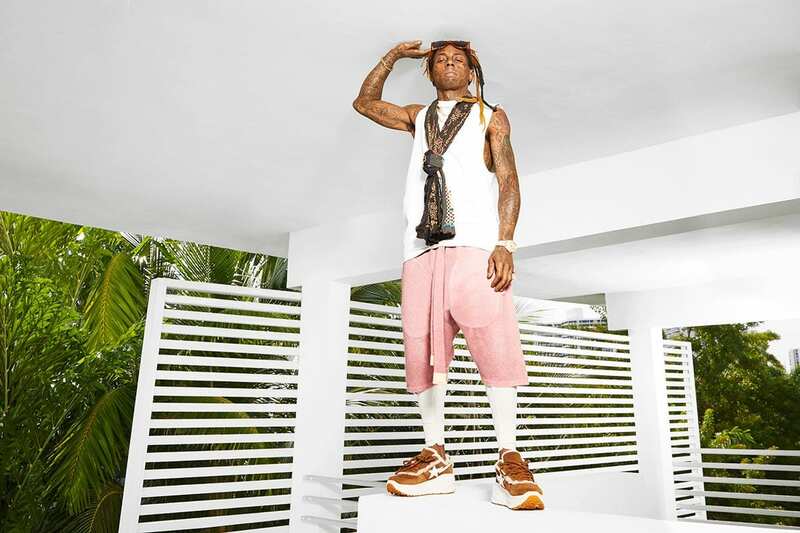 Every day he goes to my sneaker closet— every single day! — and grabs sneakers that he wants me to wear. We let him go to his, he’ll pick one and that’s what he’s wearing for the day. Like, I’m not even joking with you — this is what he does every day. When we create by making shirts and sweatpants in the fall collection, I mean, it’s his energy that we go off. Having a family empire, how do you balance being able to secure the future and then just ordinary, regular fatherhood? All I care about is my family being happy. I think that’s the best success ever., and also embracing what God has blessed us with. Everything I do, every day in my life, is securing the future for my family. Now, Asahd is in position already. You know, God-willing, this Jordan line is forever. He’s secure in his own future and I’m here to support them. That’s about being a great father and a great mother and great parents. We’re raising him to be great. And when he grow up, he going to see what he’s already done and continue to do more. I wear many hats. I make music and run businesses. I do a lot of stuff, and I’m teaching my son to do everything the same. You want to do this? Great. Do you — do it all. I know you were speaking it on earlier, but let’s talk about the new music real quick. How does his presence alone influence the forthcoming album? A lot with the title — that’s why it’s called Father of Asahd [Laughs]. I always tell you this: every album is my most important album, and I think that’s how I should always go into every album. That’s why I’m at 11 albums. The title got me very inspired. I just came off Grateful, one of my biggest albums, but Father of Asahd is something that I’m really taking my time and putting together. When my son is besides me growing and all this stuff, all it’s doing is inspiring [me]. I’m saying, like, today I was in the gym — I’m getting back in my gym! I’m getting back into eating more healthier, too. I’m getting back to, how can I say, being more disciplined to continue to be more great. My son is doing swim classes every day; I’m watching them swim. That’s inspiring me. I’ll take all that energy that goes into the studio and say to myself, there’s no excuses to make the biggest record. I’ve taken my time because I refused not to pull off the vision that I want to pull off. If I can’t pull it off at that moment, then I’m awake. You know what I’m saying? I’m not going for Plan B; It’s only Plan A. Making my records like this is what I want, this how I want to do it and this is how we will win. To be honest with you, it’s just coming out incredible. Right now, I’m saying there’s going to be 11 songs on the album, so it’s going to be nice. Not too much, not too small, but 11 powerful anthems. 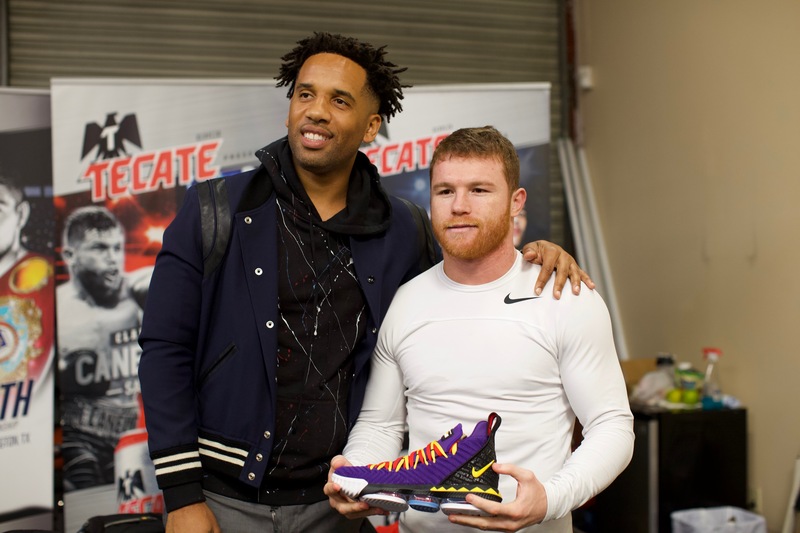 This is one of many appearances he’s been doing with the people in Kids Foot Locker. How important is it for you to know and see that a brand like that understands how important he is to you and to our culture? 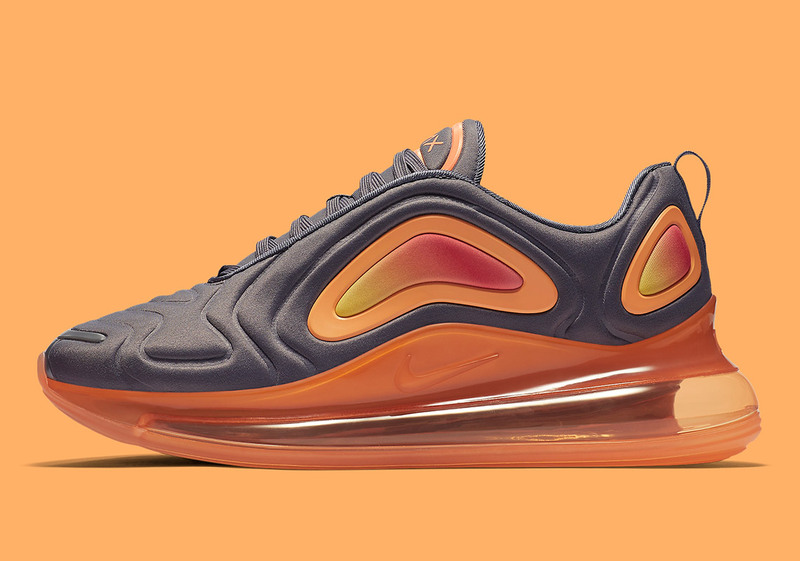 Man, I wanna just give nothing but love for what Kids Foot Locker has done. They see how important it is to embrace the young world. This has never been done before. You know, I think it’s incredible and that’s why you see me not only supporting my son but really going hard and praising it because this is groundbreaking. I hope it opens up other doors for other young kids like Asahd. That’s why we have We the Best Foundation now. It’s a solid initiative because we get so inspired and we always give back. That’s what we do at the Khaled family. When my son grows up and they say, “Man, Asahd, he’s the guy that helped all the kids in need know.” I just want to praise God for Kids Foot Locker believing in us. For my son — he’s so young! When he turns probably around five, and he realized all of this is going on, I want for him to embrace his accomplishments. The Asahd x Jordan Holiday Collection is available right now at Kids Foot Locker. Also, look out for DJ Khaled’s Father of Asahd album to arrive soon.